Young Frankenstein is a musical version of the Mel Brooks movie of the same name about the grandson of Dr. Frankenstein and his creation of a new monster. The musical is the creation of the authors of the record-breaking Broadway sensation The Producers. The show contains such memorable tunes as “The Transylvania Mania,” “He Vas My Boyfriend” and “Puttin’ On The Ritz.” This Young Adults Production features performers ages 18 to 25. Directed by Kathleen Horrigan. An Indianapolis premiere! Young Frankenstein is Footlite Musicals’ Young Adult Production, featuring performers ages 18 to 25. Open auditions are held in May for interested performers. Participants must be high school graduates in 2013. Recent Young Adult Productions have included RENT, Bat Boy: The Musical, All Shook Up, The Wedding Singer, Once On This Island, The Will Rogers Follies, Footloose, The Secret Garden, Seussical and Ragtime. Xanadu follows the journey of Kira, a magical and beautiful Greek muse. She has descended from the heavens of Mt. Olympus to Venice Beach, in a quest to inspire Sonny to achieve the greatest artistic creation of all time – the first roller disco! When Kira falls into forbidden love with the mortal Sonny, her jealous sisters take advantage of the situation and chaos abounds. This roller-skating musical is based on the cult classic movie of the same title, which starred Olivia Newton-John and Gene Kelly. This Young Artists Production features performers ages 13 to 18. Directed by Ed Trout. Xanadu is Footlite Musicals’ Young Artist Production, featuring performers ages 13 to 18 and 2012 high school graduates. Recent Young Artist Shows have included Godspell, Pippin, Into The Woods, AIDA, Once Upon A Mattress, Sweet Charity, Grand Hotel, Chess, Jekyll And Hydeand Les Miserables. Sunset Boulevard weaves a magnificent tale of faded glory and unfulfilled ambition. Silent movie star Norma Desmond longs for a return to the big screen, having been discarded by tinsel town with the advent of “talkies.” Her glamor has faded in all but her mind. When she meets struggling Hollywood screenwriter Joe Gillis in dramatic circumstances, their subsequent passionate and volatile relationship leads to an unforeseen and tragic conclusion. 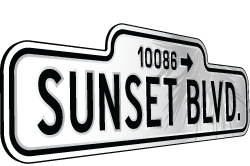 Sunset Boulevard is based on the Billy Wilder film of the same name. Directed by Rich Baker. An Indianapolis premiere! 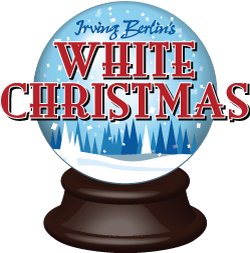 Based on the beloved film, this heartwarming musical adaptation features 17 Irving Berlin songs. Veterans Bob Wallace and Phil Davis have a successful song-and-dance act after World War II. With romance in mind, the two follow a duo of beautiful singing sisters en route to their Christmas show at a Vermont lodge, which just happens to be owned by Bob and Phil’s former army commander. Directed by Bob Harbin. Hedwig and the Angry Inch is a rock musical about a fictional rock and roll band fronted by an East German transgender singer. The character of Hedwig was originally inspired by a German divorced U.S. Army wife who moonlighted as a prostitute at her Kansas trailer park home. The music is steeped in the androgynous 1970’s glam rock era of David Bowie, as well as the work of John Lennon and early punk godfathers Lou Reed and Iggy Pop. This is Footlite’s annual cabaret production. Adult content–not recommended for patrons under 18. Directed by Paige Scott. After 20 years of un-wedded bliss Georges and Albin, two men partnered for better-or-worse get a bit of both when Georges’ son (fathered during a one-night fling) announces his impending marriage to the daughter of a bigoted, right-wing politician. Further complicating the situation is the “family business,” a drag nightclub, where Albin is the “star” performer Zaza. Georges reluctantly agrees to masquerade as “normal” when he meets the family of the bride-to-be. But Albin has other plans, with hilarious results. Directed by Kathleen Horrigan. This musical was the winner of Tony Awards for Best Musical, in 1982, and Best Revival of a Musical, in 2003. Nine is the story of a celebrated Italian film director, Guido Contini, and his attempts to come up with a plot for his next film as he is pursued by hordes of beautiful women, all clamoring to be loved by him and him alone. Flashbacks reveal the substance of his life, which will become the material for his next film: a musical version of the Casanova story. Directed by Tim Spradlin.